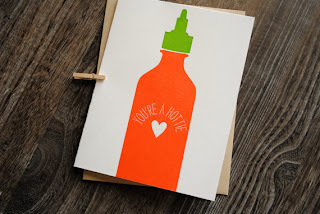 How cute are these Sriracha-esque cards from Printerette Press? Pretty freaking cute. 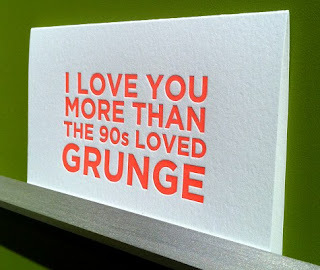 I'm also digging the I love you more range of cards from Gilah Press. Both found courtesy of Design*Sponge's National Stationery Show 2011 roundup (part 1 and part 2).